Islantilla Golf was inaugurated in 1992 and since then it has become one of the best and most well-known Spanish golf courses in Europe. 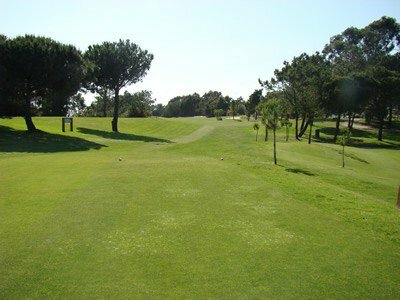 The course consists of 27 holes, three different courses surrounded by leafy vegetation and impressive sea-views. The careful design of its Pencross greens and Agrostis Fairways give the course great quality and variety. 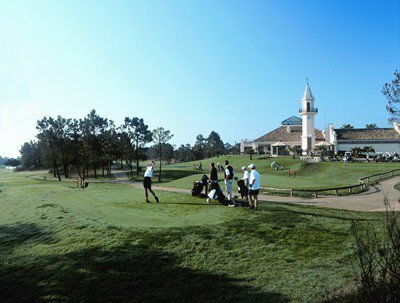 Opened in 1992, the golf course has 27 holes and was designed by Enrique Canales and Luis Recasens D.. Pioneer fields of commercial-tourist Golf Huelva province hosted the most important competitions at professional level in the professional calendar. 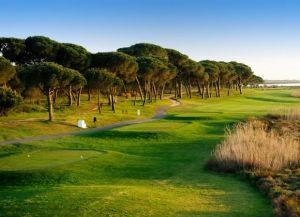 The professional championship Spain (APG), the challenger tour and tour Spain Masters Open de Andalucia (PGA EUROPEAN TOUR) have been held in Islantilla. The course was rated by the prestigious publication “Golf World” among the top 100 courses in the European continent. Clear style “Park Land” tour runs on a platform of soft high terrain above the sea, so you can enjoy the incredible journey over the Atlantic Ocean. The design respects the natural terrain and the scenic environment in which it is immersed. The magnificent pine forest gives character to the field and isolates it from the surrounding urbanization. Islantilla Golf Resort is the first field in the country to obtain the ISO 9001 and ISO 14001 which speaks for itself commitment to the environment and customer service. It has three distinct paths which gives players exciting game options. The clubhouse colonial Andalusian-style hotel offers guests all the services required in a high quality resort, which is complemented by the 4 star hotel definitely the best courses in the province. The area of ​​practice and teaching is the largest and best equipped in the Andalusian landscape, which has made Islantilla Golf Resort in one of the education and training center of reference. From Seville – Take the motorway from Seville direction Portugal (A-49). Come off at exit 117. Follow the second sign to Lepe. Turn right towards Antilla. Follow the signs to the Golf Course. Islantilla Golf Resort is not yet in our pool of Golf Courses for orders.